How much does it cost to buy double glazing in 2018? For those homeowners in the market looking for new windows & doors, getting the best value for money is obviously important. So how do double glazing prices in 2018 compare to the previous year and what can you get for your money? The good news is, that the home improvement market is still just as competitive as it has always been, if not slightly more so. This has had the effect of keeping the cost of double glazed windows & doors very stable. It may go without saying, but prices can vary a lot by supplier, style, energy efficiency, colour, material or even regionally. The best way to get an accurate cost is to have a home survey and a set of written quotes based on actual products that you want to fit. You may also want to take some time to think about what you want beforehand – a short guide here. Average prices for the main window styles. How much will it cost to double glaze your home. Cost guides for Casement, Sash and Tilt / Turn windows. Getting your windows fitted, or, choosing an installer. If you already know which type of windows you are looking for, you can just head over to our request form & get your free online double glazing quotes from up to 4 installers by clicking the button. How much will it cost to buy double glazed windows for your home? (There is a more detailed breakdown later in the article). Casement windows regularly show up as the cheapest double glazed window style, especially UPVC casement windows. For example, 1200mm x1200mm White UPVC Casement window prices, for supply only, can be found at between £150 to £160. The WER rating for this price is likely to be in the C-band. The other popular styles of Sash windows or Tilt & Turn are more complex designs, need more time and effort to manufacture and are therefore costlier to buy and install. What is the cheapest material to use in the window frames? The wide price banding is purely down to the amount of variations in the specification of the windows that people purchase. How much does it cost to double glaze a house? £500 to £800 for a UPVC front door. £800 to £1,000 for an Oak door. £1,000 to £1,200 for aluminium doors. Personalisation: How much do the optional extras cost? The first option that you could be faced with is to decide the energy efficiency rating for your replacement windows. Just like your TV, Fridge & other consumer goods, double glazing windows have to be rated for energy efficiency. Typically, the ratings will run from A++ to G. Building regulations in the UK set a standard of “C” as the lowest WER acceptable to meet the regulations. A++ rated windows are likely to cost more than C rated products. 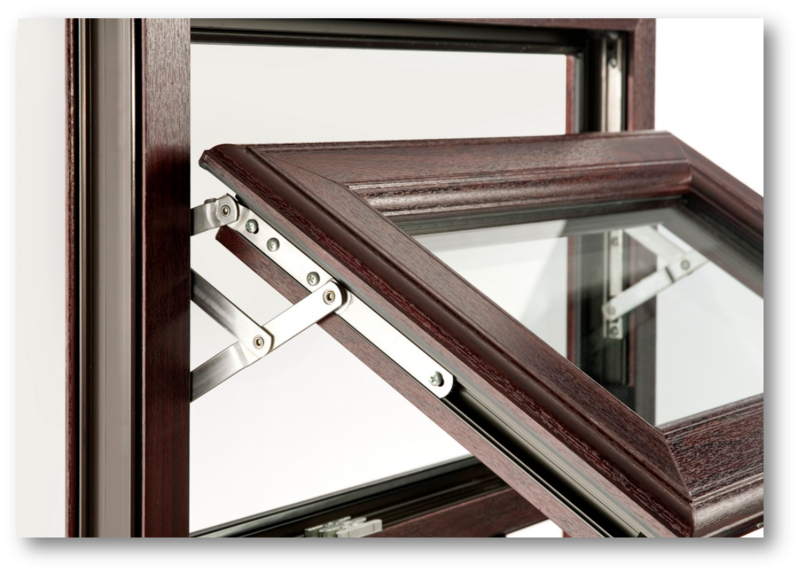 Double glazed windows with a C rating are more than adequate to do the job well. What items can be classed as optional extras? It’s a very good practice to confirm exactly what is, and is not, an extra with your installers at outset, preferably whilst they are creating your quotation. These things are usually subject to the pricing structure of the supplier / installer and very difficult to individually price, but here are some examples. Gas filled sealed units (Argon) / extra wide units (e.g. 28mm). Toughened, tempered or laminated glass. Patterned, frosted, coloured or leaded glass. Opening sections. Panels that can open & close attract an extra cost in many cases. Standard “float glass” pane thickness is 4mm. Thicker glass costs more. Adding a colour or woodgrain finish to UPVC or Aluminium. So as you can see, the optional extras added almost 50% to the cost of double glazing, and suddenly you no longer have your cheap double glazed window! There are some very good reasons for taking the time to think about who is eventually going to supply & fit your replacement windows. The last time I checked, there were more than 10,000+ double glazing companies or installers in the UK, so choosing the right one can seem a tall order. Here are some points to guide you. Look for FENSA & CERTASS Accreditation: There are three main reasons to deal with accredited installers. 1) they have been independently assessed as competent. 2) They can certify your installation as compliant for building regulations. 3) you get better consumer protection. Take references: Satisfied clients are a great source. They can let you know their experience. A dissatisfied customer who has been properly looked after can also be a good source of knowledge about the company. If possible, visit previous jobs by the installer. Avoid installers who ask for large up-front deposits (some don’t even ask for a deposit). Look for an installer that can offer insurance backed deposit guarantees. Get as many quotes as you can, at least 3 or 4, and then take your time to compare what’s on offer. We can help you in finding a reputable company to quote for your new windows and doors. 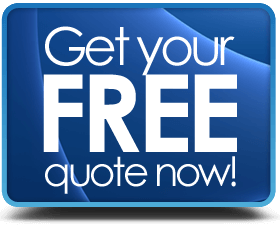 We work with a Nationwide panel of accredited installers and the quotes are free and with no obligation. If you want to know how much double glazing costs in 2018 for your house, just send us a few details via our quote request form (it just takes a minute) and we will do the rest.